Get started with DOMIZILE REISEN! Cruises are becoming increasingly popular as they combine the conveniences of a vacation in one place without having to change hotel with a varied round trip. You enjoy relaxing holidays, but also experience the country and its people, cultural treasures, interesting cities, beautiful beaches and different landscapes. Everything is taken care of and you will be spoiled with a varied culinary. If you feel like you can participate in one of the leisure activities or rather spend your day relaxing in a deck chair. Here you find our selected individual cruises on very unique ships, which also visit unusual destinations off the big cruise routes. 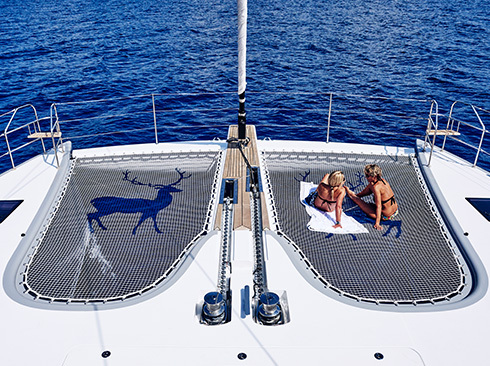 You always sail on exclusive sailing ships or motor yachts of small and medium size, which also moor in small harbours and bays that can not be approached by large ships. Enjoy the relaxed atmosphere and the distinctive on-board flair that makes our individual cruises an exceptional travel experience. Welcome on board! Kindly send us your TRAVEL INQUIRY. * Enjoy a unique catamaran sailing cruise and explore coasts of Sicily, Capri - Ischia - Procida islands, the Aeloean and Pontine Islands, the Amalfi coast, the gulf of Naples and north of Sardinia Island. * can perfectly be combined with a stay in one of our private villas or luxury hotels on the Seychelles. 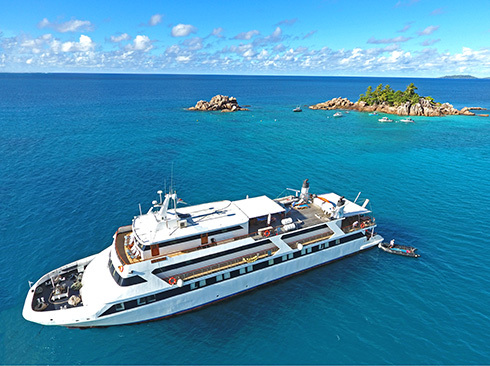 The M/Y Harmony G is a modern motor yacht for up to 42 passengers. It complies with SOLAS safety regulations. The ship with the ambiance of a private yacht and discreetly attentive service operates weekly trips to the most exciting destinations in Greece off the beaten path of large ships, during the season from April to October. 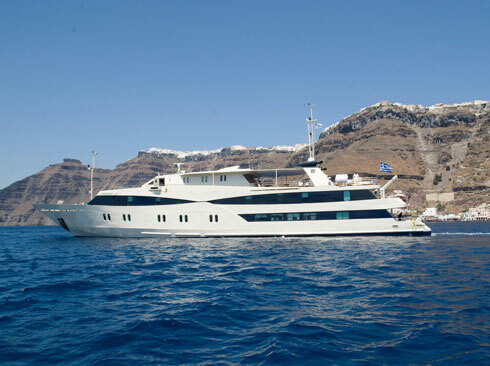 - Monemvassia, "a stone about to set sail"
Enjoy the freedom of a private yacht. You will enter port in lonely picturesque harbors, go snorkeling in turquoise clear water, spend the night in lonely bays under the starry sky and discover the most beautiful coastlines. You will get spoiled by the crew with amazing greek food and completely relax during the cruise. From the harbor where the boat arrives you can go to visit all the places of interest on the islands. Or you can stay on board, as you wish. The sailing yachts „Kapetan Kosmas”, „Anatolie” and Syrolana have capacity for 10 to 12 persons and 2 to 3 kids in 5 to 6 cabins. 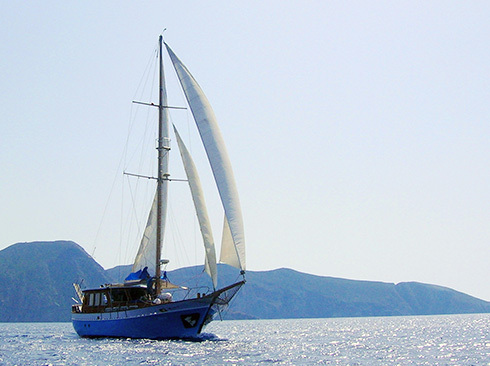 Enjoy the mediterranean flair of the Cyclades while cruising on your stylish private sailing yacht. You will be amazed by the clear, green turquoise water of the Cyclades that always seems to be inviting you for a swim or a snorkeling trip. Your skipper will show you the most picturesque places on the cyclades, the loveliest beaches, the ancient little harbors and the traditional greek taverns. On board you will be perfectly looked after by the crew and spoiled with the best greek food. The seronian Islands are mostly not too windy so it is more a relaxing sailing trip than a sporty one especially in the springtime and late summer. The sailing yachts „Kapetan Kosmas”, „Anatolie” and Syrolana have capacity for 10 to 12 persons and 2 kids in 5 or 6 cabins. 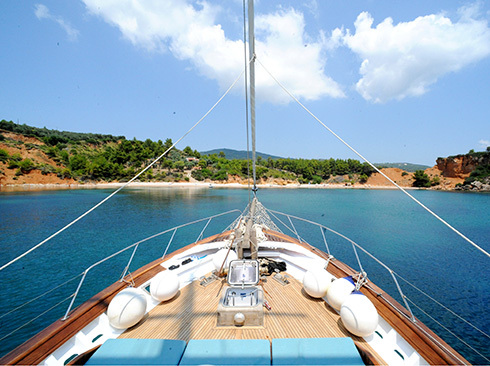 Discover the beauty and the nativeness of the Saronic Islands on a sailing roundtrip with a private and small sailing yacht. The traditional sailing boats „Kapetan Kosmas” and „Anatolie” will take you to the most picturesque little harbors of the Saronic islands. The crew will show you the best swimming- fishing- and snorkeling spots in the clear blue sea. You will enjoy the cruise in a relaxing and cosy atmosphere. The crew will spoil you with the best of the Greek cuisine. 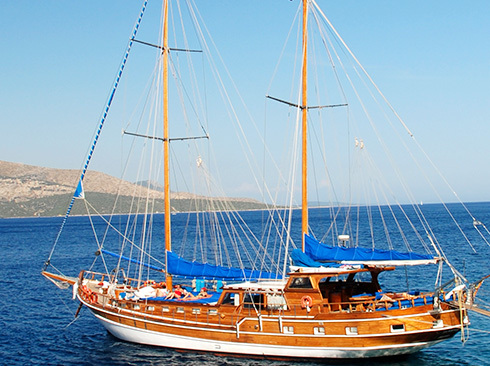 The Saronic Islands are mostly not too windy so it is more a relaxing sailing trip than a sporty one. Both ships have capacity for 9 to 10 persons and 2 to 3 kids in 5 cabins. 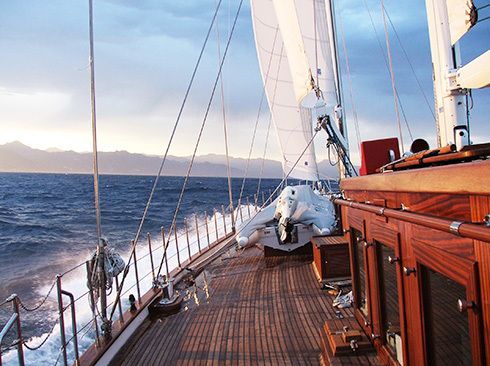 On board the three elegant yachts of the company Sailing Classics you will feel like on a private yacht. 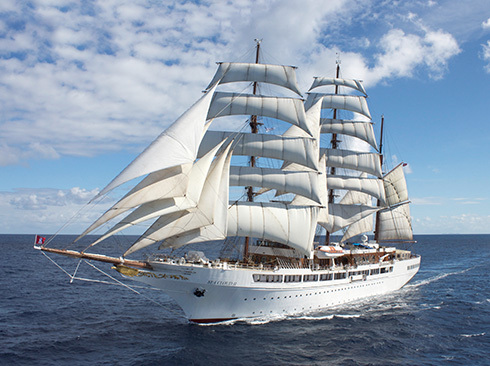 They are cruising along the most beautiful coasts of the Mediterranean in summer and in the Caribbean. You will find a perfect combination of two worlds: an authentic sailing experience on a large sailing yacht, without the constraint of a fixed routing, combined with the comfort and services similar to a cruise. You might enjoy and opt to steer yourself or to help trimming and setting the sails, which is always welcome and a nice experience. The crew also takes tare of all this, and you can just be pampered and enjoy the passing scenery - and with a little luck, dolphins, turtles and whales might show up.